Citizen science, the idea of requesting the aid of amateur volunteers in research, is not a new phenomenon. There are documented citizen science endeavours going back hundreds of years. There is even one project that was started over one hundred years ago and is still going to this very day - The Audubon Christmas Bird Count - asking volunteers around the world to document the birds they observe in their gardens during winter. So citizen science is by no means a new concept, but the dawn of the internet has indeed changed the nature of it in significant ways. Around the turn of the 21st century, the use of distributed computing to analyse large datasets using the processing power of thousands of volunteers' personal computers was revolutionising the field of astronomy via projects such as Einstein@Home and SETI@Home. Meanwhile, a small group of astronomers at the University of Oxford were dealing with the problem of having to classify galaxies by shape - a simple pattern recognition task that cannot be done by computers - and they had millions of them to do! Inspired by the idea of distributed computing, Professor Chris Lintott - then a postdoc in the School of Astrophysics - suggested creating a website and asking members of the public to help with the galaxy classifications. So with the help of a couple of colleagues who knew how to make a basic website they built Galaxy Zoo. 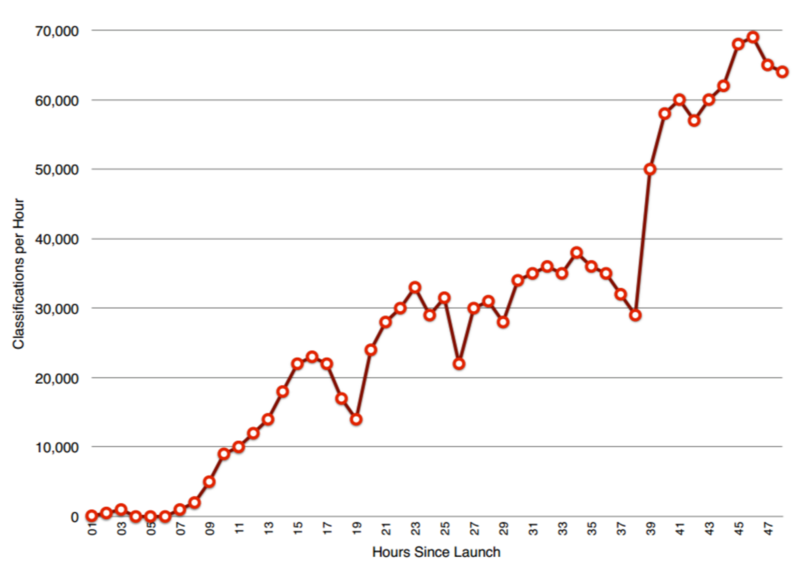 The project was immediately successful, with volunteers all over the world providing hundreds of thousands of galaxy classifications in only the first few hours after launch. The potential to use this method for processing large data sets was immediately seen, not just by others in the astronomical community, but by researchers in completely different disciplines such as climatology and the humanities. Amid the barrage of requests from other researchers to create similar online projects for their data sets, the group at the University of Oxford decided to launch a platform to build and operate these projects - thus the Zooniverse was born. Over the last decade, the Zooniverse has grown to become the world's largest and most popular citizen science platform, having launched almost 100 projects in pretty much every major field of research, from astronomy to zoology. It has engaged millions of volunteers, with people taking part in almost every country in the world. Uniting them all is a desire to contribute to genuine research. The Zooniverse team now comprises over 30 people including scientists, web developers, designers, and educators, and is spread over four groups at the University of Oxford, the Adler Planetarium in Chicago, the University of Minnesota, and the University of Portsmouth. 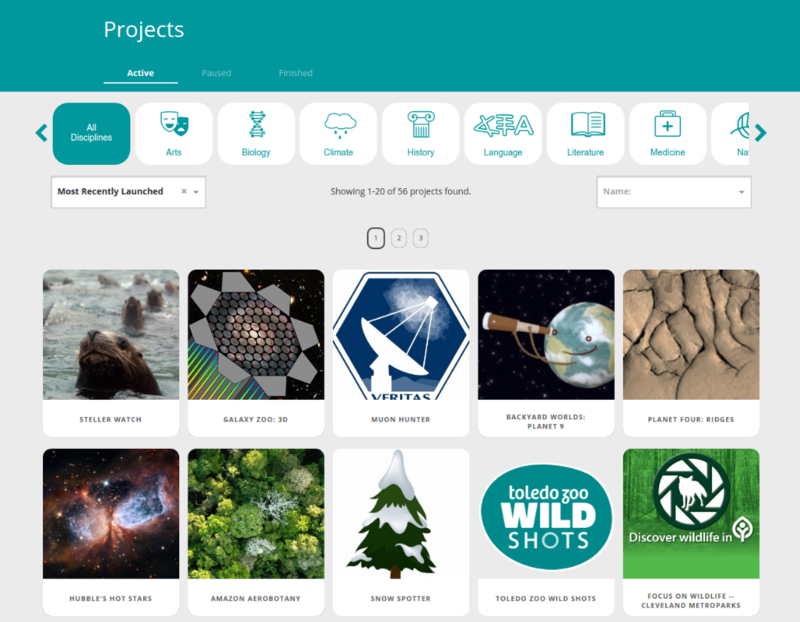 The Zooniverse currently hosts over 50 live projects in multiple fields of research. One major change took place in the Zooniverse in the summer of 2015. It came from a realisation that the system was slightly broken. Yes, the Zooniverse was helping a lot of researchers process their data faster than they ever thought was possible, but it also had to reject proposals from a lot of researchers who wanted to have their projects built, as there were not sufficient resources to build everything - the Zooniverse remains to this day a non-profit, academic research group with all the funding issues of any other similar group. The solution was to build a new platform. One which would allow anyone to create their own citizen science project easily and for free. The new platform was launched in July 2015 and immediately researchers around the world started uploading their data and creating projects. To date over 100 legitimate new citizen science projects have been created, completely for free, using the Zooniverse Project Builder. 34 of these projects have been officially launched on the Zooniverse platform, with an equal number currently under review. Review is an important step in ensuring the Zooniverse is releasing projects that involve genuine research questions and will not be wasting the volunteers' precious time. In fact, a large part of the project review phase in entrusted to members of the volunteer community. Tens of thousands of volunteers who have said they are willing to test and review projects before they go live help maintain the quality of the projects on the Zooniverse platform. The Zooniverse relies on its community to ensure the quality of the projects it releases. The Zooniverse will continue to evolve into the future, and is already looking at things such as machine learning, presenting multi-dimensional data, and mobile apps, but at its core will remain the key goals of enabling researchers to do their work and allowing anyone, who is willing to give even just a little bit of their time, to be a researcher themselves. To discover the Zooniverse and the research projects that are looking volunteers right now visit the Zooniverse website.